About two years ago, I needed laparoscopic surgery to have my gall bladder removed. Nothing serious; preventative, after a few benign bulges were found on the bladder during an ultrasound scan. The whole thing took only three little holes on the right side on my navel, and—after some tubes with tiny cameras attached were inserted and then yanked out of my body—just a few stitches. Prior to the surgery, I&apos;d requested to all who would listen—the surgeon, the anesthesiologist, the nurses—that I receive no prescriptions for any post-op pain medications. I had been through rehab for alcoholism two years before the surgery, and I was acutely aware of my inability to responsibly self-medicate. Give me one pill, one line, one drink, and I want 10. The doctors told me there would be little pain, just a day or two of possible discomfort. They agreed I didn&apos;t need a pain med prescription. After returning home that same day, I was understandably caught off guard while scanning through my hospital paperwork: I&apos;d been written a prescription for 30 OxyContin 30mg pain pills. That&apos;s two weeks&apos; worth of opioids. I looked at the prescription in disbelief, mindful of the lack of pain in my abdomen. There was no refill listed, but I bet I could&apos;ve easily gotten one. And in fact, a friend had told me to do just that: fill the prescription (about $15 for the 30 pills with my insurance), and give the pills to him, which he would then sell on the street for $1,000. We would split the profits, he explained; my gall bladder pain meds would get me $500, without any work on my end. Purdue started a program for doctors to distribute coupons to their patients for free one-time OxyContin prescriptions. I didn&apos;t go through with the scheme, of course. I couldn&apos;t help but think of all those heroin addicts I&apos;d met in rehab a few years earlier, and how almost every one of them had said it all started with OxyContin. I didn&apos;t want to be a participant in that world. This is all far in the past, but I&apos;ve been thinking about my gall bladder surgery recently, as headlines of record heroin overdoses have filled the news cycle. Earlier this month, CBS&apos;s 60 Minutes ran with the theme in their piece "Heroin in the Heartland." Correspondent Bill Whitaker trotted out the usual narratives—Mexican drug cartels and bored suburbanite kids meeting up; the Mexicans getting rich; the rich kids dying. But the segment didn&apos;t go into much detail about the real cause: Americans are addicted to pain meds—legal and illegal—because the United States&apos; medical community had re-defined who needed these meds and who didn&apos;t.
In effect, doctors had been prescribing pain meds for everything and anything for so long, patients have now come to expect a pain pill for, well, everything and anything. Even if you&apos;re only having out-patient surgery, surely two weeks&apos; worth of pain meds couldn&apos;t hurt, right? 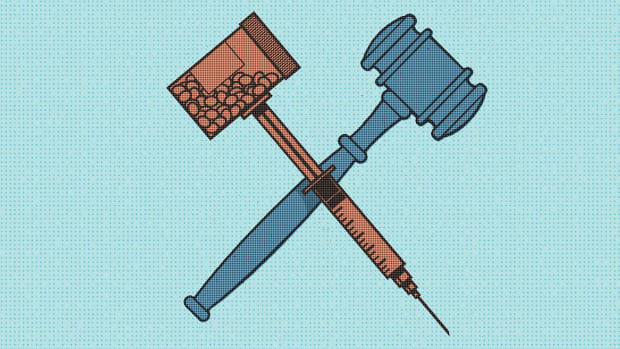 As addiction specialists look back on the current heroin addiction crisis—which the Centers for Disease Control and Prevention calls the "worst drug overdose epidemic in [U.S.] history"—most agree that the whole operation started out as the sort of marketing scheme Don Draper might have dreamed up. 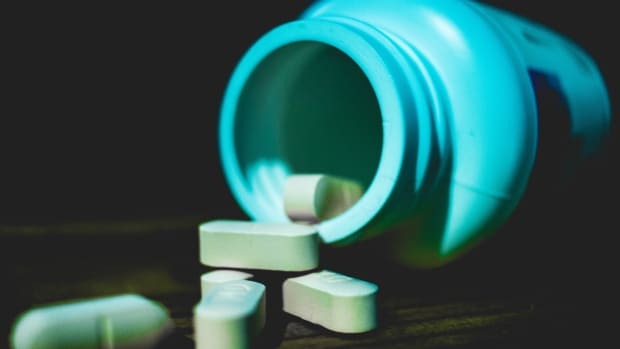 "[The marketing effort for opioid sales] was a promotional campaign unlike we have ever really seen," says Dr. Andrew Kolodny, the chief medical officer for the Phoenix House treatment centers and co-founder of Physicians for Responsible Opioid Prescribing. "Drug reps were going to family care doctors, and insisting that OxyContin had no real risks—only benefits. What they were selling was the idea that pain was a disease, and not a symptom." That sell job was based on "pain" being re-classified as the "fifth vital sign" for doctors to measure. Prior to that, doctors only had four vital signs, all of which could be scientifically measured: body temperature, blood pressure, pulse (heart rate), and breathing rate. Pain had previously been thought of as a symptom, a sign of where the disease was in its life cycle, and what treatment was needed. That changed in 1985, when the World Health Organization started encouraging doctors to prescribe opioid analgesics for long-term cancer pain. 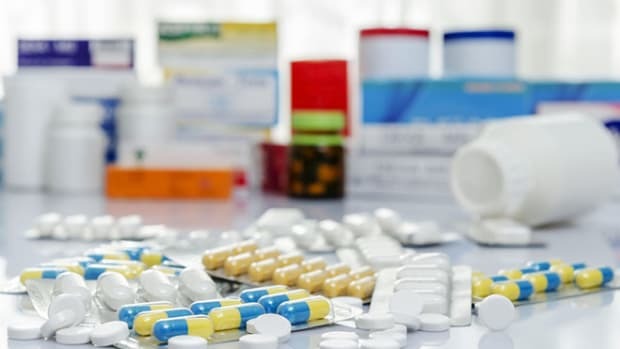 Prior to that, opioid analgesics (at the time, Percodan and Percocet, among others), were generally prescribed for short-term pain, while non-opioid analgesics (higher strength acetaminophen and ibuprofen) were used for the long-term pain associated with chronic diseases like cancer or arthritis. So the pharmaceutical companies began experimenting with stronger drugs that could combine the short-term and long-term needs with one pill. As pain became a vital sign, doctors needed to find a way to measure and treat it. Hence, those one-to-10 rating cards that patients must fill out, which, in some ways, hold as much value as the far more methodical systolic and diastolic blood pressure numbers. Problems soon followed. In 1995, the Food and Drug Administration approved OxyContin, a morphine-like drug manufactured by Purdue Pharma that functioned like a revved-up Percocet. 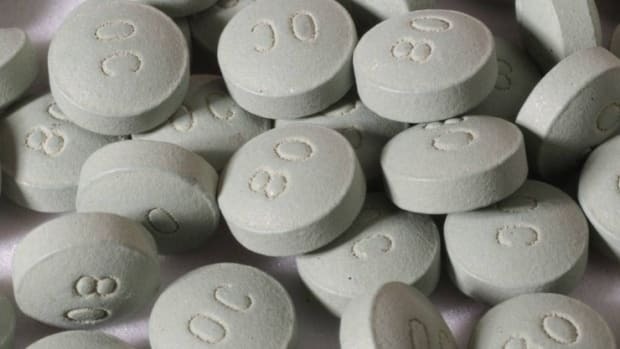 Sales of OxyContin skyrocketed, going from $44 million in 1996 (with 300,000 prescriptions), to $1.5 billion in 2002 (7.2 million prescriptions), according to a 2003 Government Accountability Office report. That same GAO report lays out Purdue&apos;s clever marketing scheme, which helped land its addictive pain medicine on the shelves of American cabinets. From 1995 to 2000, Purdue conducted 40 "pain conferences" in resorts like Boca Raton, Florida, and Scottsdale, Arizona, focused on primary care physicians and doctors specializing in cancer care. Purdue lined up more than 2,500 physicians for paid speeches and presentations at health-care seminars, and in 2001 alone spent $4.6 million for OxyContin advertisement in medical journals. It didn&apos;t stop there. According to the GAO report: "Purdue distributed several types of branded promotional items to health care practitioners. Among these items were OxyContin fishing hats, stuffed plush toys, coffee mugs with heat activated messages, music compact discs, [and] luggage tags." (One of the promotional songs to get doctors to prescribe more was called "Get in the Swing With OxyContin.") Purdue even started a program for doctors to distribute coupons to their patients for free one-time OxyContin prescriptions. About 34,000 of these coupons were redeemed. This marketing strategy gave Purdue its intended effects. By 2003, the company reported that primary care doctors had grown to constitute nearly half of all OxyContin prescribers, according to the 2003 GAO report. In effect, the drug designed for cancer pain relief had become the drug prescribed for back and tooth aches. What followed was not all that surprising. Many grew addicted to the opioids, and when the prescriptions ran out, they turned to heroin because of its availability and relatively low cost. 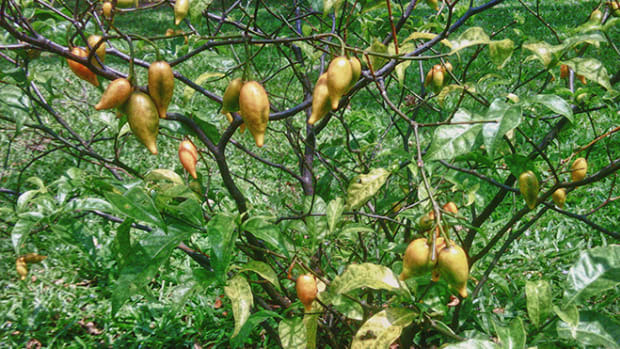 The Mexican drug cartels saw this trend and promptly began growing their opium plants, which they consciously made purer and less expensive. And those cartels targeted the suburbs, where those introductory OxyContin prescriptions were being filled—and where the money was. According to the National Institute on Drug Abuse, some 2,000 people died in 2001 from heroin overdose in the U.S. By 2013, that number had climbed to about 8,000. Coinciding with that rise: the number of opioid deaths caused by prescription drugs like OxyContin. About 6,000 deaths from opioid prescription drug overdose in 2001 spiked to roughly 15,000 by 2013. Over two million Americans are currently addicted to opioids, according to the National Survey on Drug Use and Health, and 467,000 are addicted to heroin. What makes those numbers even more startling: Four out of five heroin users reportedly started out on opioids. 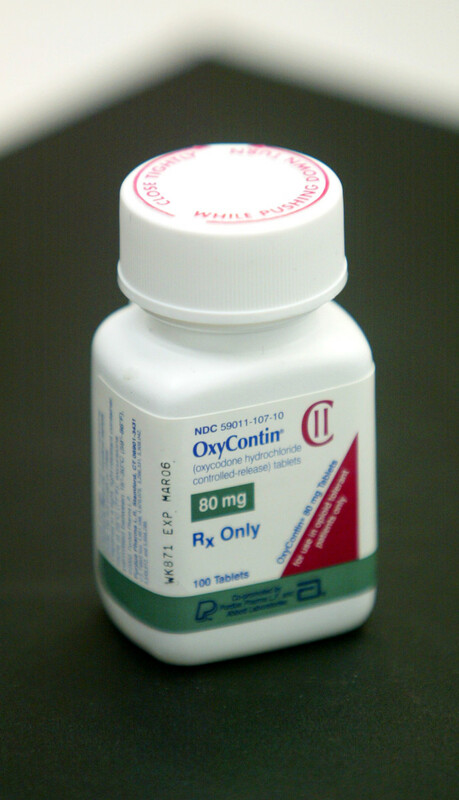 In 2007, the Department of Justice sued Purdue Pharma in federal court for misleading doctors and patients with its claim that OxyContin is less likely to be abused than traditional narcotics. Purdue was fined $600 million—which may seem like a large number, but would have little effect on the company&apos;s revenue growth. OxyContin still brings in $3 billion a year for Purdue, according to the latest reports, and the Sackler family, which privately owns Purdue, is now worth $14 billion, according to Forbes. "How did the Sacklers build the 16th-largest fortune in the country?" Forbes&apos; Alex Morrell asks. "The short answer: making the most popular and controversial opioid of the 21st century—OxyContin." These warnings that prescription Oxy abuse would lead to heroin addiction were all laid out in the 2003 GAO report. Purdue thought GAO&apos;s findings were "fair and balanced" (the GAO had showed them the draft, and then included their comments in the final version). The pharmaceutical giant&apos;s only problem was that the report "should add the media as a factor contributing to the abuse and diversion of OxyContin because media stories provided the public with information on how to &apos;get high&apos; from using OxyContin incorrectly." "We are playing Russian Roulette with prescriptions." There have been a few attempts in recent years to reign in the nation&apos;s pain med addiction problem: restrictions being imposed in some states on opioid prescriptions from being given to patients treated in the emergency room; a closer eye on doctors who fill too many OxyContin prescriptions; even better label warnings; a re-formulation that prevents people from crushing the pills and snorting them as easily. But alongside these efforts for reform, we&apos;ve seen patients&apos; expectations shift; people expect, and want, their doctors to champion opioids. Many will even claim their doctor provided insufficient treatment if the patient doesn&apos;t walk out of the office with an Oxy script in hand. And with federal programs like Medicare and Medicaid using patient surveys as a way to judge care—and with payment structures for doctors and hospitals based on those surveys—having a happy, Oxy-popping patient matters a good deal to doctors. In a paper written earlier this year for the Annual Review of Public Health, Kolodny and his co-authors came to the conclusion that "health care professional must prescribe opioids more cautiously for both acute and chronic pain. Unfortunately, the campaign to encourage [opioid] prescribing has left many health care providers with a poor appreciation of opioid risks, especially the risk of addiction, and an overestimation of opioid benefits." Which leaves some physicians in a real quandary. Since pain is often measured through a verbal or written assessment, it has become difficult to determine whether a patient is really in need of an unending amount of pain pills. "There was a time when pain was definitely under-treated," says David Courtwright, a professor of history at the University of North Florida and an expert on drug addiction in the U.S.
"But what are you going to do with a 40-year-old truck driver who has chronic back pain and takes OxyContin without problems so he can work?" Courtwright wonders. "The problem is that, for some, opioids are just fine, and for others, they will ruin their lives and possibly kill them. Essentially we are playing Russian Roulette with prescriptions. Doctors have learned the hard way, through the big rise in overdoses from opioids and heroin, that they have been overprescribing opioids. They have to unlearn that way of doing things." In an article published last week in the New England Journal of Medicine, Courtwright writes that the current heroin addiction crisis has similarities to the opium and cocaine addiction crisis of the 1870s and &apos;80s, when the American per capita consumption of opiates tripled in a short period of time. 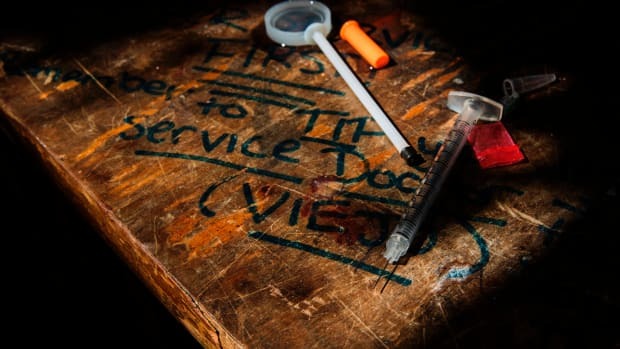 The addiction problems at the turn of the last century—when morphine injections by doctors led to ingesting and smoking of opium and cocaine on the black market—were also driven by overprescribing doctors, and it was self-policing by the medical community that educated older practitioners, who had little training in the dangers of narcotics in that time period, to not resort to morphine injection for all pain treatments. "Today, the profession faces a more even widespread epidemic," Courtwright writes, "even more daunting, given the potency of prescription opioids, the more diverse demographics of addicted patients, and the widespread availability of cheap non-prescription alternatives, such as heroin spiked with fentanyl." Last year, one of the Internet&apos;s most popular medical bloggers, a retired surgeon (who was also in charge of a residency program at a large medical school), who calls himself the Skeptical Scalpel, weighed in on the causes of the addiction crisis. Scalpel zeroed in precisely on this relatively new shift in how pain is treated: "Despite efforts to quantify it with numbers and scales using smiley and frown faces, it is highly subjective. Pain is a symptom. Pain is not a vital sign, nor is it a disease." Talking to me over the phone, Scalpel (who asked that his real name not be used) says the current set-up for doctors, with 15-minute visits and patients passed from one specialist to another, makes it quite difficult for doctors to avoid writing prescriptions for pain med-seeking individuals. "People are more acclimated to getting medication for anything now, and they expect it," Scalpel says. "Millennials have been overmedicated since they were born. They say they are depressed, and instead of figuring out why, we give them a prescription for Zoloft.... It&apos;s all part of the pill medicalization of the entire country." "Doctors are placed in an awkward position," he continues. "I might have an office full of people and I&apos;m 30 minutes behind. It&apos;s difficult to expect a doctor in that situation to have a moving discussion on whether that patient is in need of the pain meds. Many doctors just write the prescription. What has happened is that we have created a culture where the pain medication is not only expected, it is demanded by the patients." After a few more minutes of conversation, Scalpel brings up a rather funny point. Television ads have been running in recent weeks during professional sports events for pills that alleviate OIC, or "opioid-induced constipation." Opioid use, it seems, causes constipation, and the prevalence of those taking opioids has created a sub-market of sorts, for a stool loosening medication to help with the pain pill&apos;s side effects. "I wonder if any doctors or patients thought that the way to get rid of constipation from the opioids is to stop taking the opioids," he says with a touch of amusement and sorrow. If you&apos;re wondering what happened to the Oxy prescription from my gall bladder surgery, I didn&apos;t just throw the script away. After three days&apos; deliberation, I decided it might be a good idea to fill the script, in case I ever needed pain pills. I figured I should take a few just to know the sensation and the side effects, in case I ever needed to write about the complications of heroin addictions. It&apos;s only research, I told myself. Two days later, there were 17 pills remaining in the vial. It had come with 30. I took two at once to start with, and, after an hour, I decided that wasn&apos;t enough, so I took two more. I promptly fell asleep. Some time later, I woke up sweating and vomiting, but I still took more. This continued for two days. Eventually, I looked in the mirror, saw the face of a relapsed man, and flushed those remaining 17 pills down the toilet. It was my first and only setback from sobriety in the past four years. That friend who sells pills wasn&apos;t too happy when I told him I&apos;d filled the prescription but left none for his side business. He wasn&apos;t mad at me that I took 13 and risked an overdose; he was mad that I flushed 17 down the toilet. I didn&apos;t have any real need for pain meds, but I still found them in my hands because the health professionals didn&apos;t see any big deal in giving me the option. I took the pills because addicts can always find reasons to take something. The best way to prevent that self-medication relapse is to not make it so readily available. Especially when the pills are neither needed nor wanted.